[Image: kSKFRHN.jpg]MUMBAI: Rupert Murdoch-led 21st Century Fox is in talks with the Tata group to up its stake in Tata Sky, a joint venture direct-to-home (DTH) company where it owns nearly 30% stake. 21st Century Fox had always wanted to increase its stake in Tata Sky. The new development comes in the wake of the Tata group and Bharti Airtel reportedly holding exploratory talks to evaluate a broader alliance involving their telecom, overseas cable and enterprise services, and DTH businesses. As reported earlier by TelevisionPost.com, a possible deal could see the Tata group reducing its stake while 21st Century Fox maintains its existing shareholding in case Tata Sky and Airtel Digital TV decide to merge. Though 100% foreign direct investment (FDI) is allowed in DTH, 21st Century Fox is bogged down by a regulation that allows broadcast companies to own only 20% stake in a DTH company. The stake went up after the Murdoch company acquired 49% stake in Tatas’ investment arm TS Investments which in turn acquired a 20% stake in Tata Sky. Currently, 21st Century Fox effectively owns 29.8% stake in Tata Sky while the Tata Group holds 60.2% and the remaining 10% is with Temasek Holdings. Tata group has begun discussions to sell an additional stake in Tata Sky to JV partner 21st Century Fox, Mint has reported. The two sides will approach the government for approval if the ongoing discussions are successful. 21st Century Fox holds the stake in Tata Sky through its investment arm Network Digital Distribution Services FZ Llc (NDDS). Turning around in FY16, Tata Sky posted a net profit of Rs 80.08 crore on a revenue of Rs 4,490.96 crore. A year ago, net loss was Rs 267.27 crore on a revenue of Rs 3,739.04 crore. The six Indian DTH companies have a net subscriber base of 63.61 million, as of 31 March 2017. Dish TV has a 25% share of net subscribers compared to Tata Sky’s 23%. Airtel Digital TV’s share is at 21%, Videocon d2h at 20%, Sun Direct at 9% and Reliance Digital TV at 2%. As reported earlier by TelevisionPost.com, there is a case for the Tata Group and Bharti Enterprises to work out a broader deal. But this is not because telecom and DTH companies need to combine. The need springs from the fact that the two sectors need to bring down the number of players operating in these businesses. Like telecom, DTH needs a consolidation wave. The common thread is that the Tatas and Bharti have presence in both telecom and DTH. The deal needs to be worked out separately. In case of telecom, working out a deal is possibly simpler. The Tatas are very keen to cut down their losses from the telecom business. Besides, Idea and Vodafone have combined, and so are Reliance Communications and Aircel. The DTH deal would be a more complex exercise as Tata Sky is a JV between the Tata Group and 21st Century Fox. Murdoch wants to increase stake in Tata Sky. Star India, 21st Century Fox’s wholly owned India subsidiary, will not want to be part of the telecom venture. Therefore, the DTH deal has to be dealt with separately. It has to be an entity having the DTH businesses only. The possibility could be that Star’s holding remains the same in the merged entity while Tata Group gets to dilute its stake. 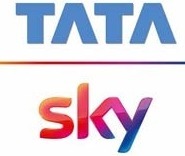 Tata group has begun discussions to sell an additional stake in Tata Sky, its direct-to-home (DTH) television arm, to joint venture partner Twenty-First Century Fox Inc., said two people aware of the development. The media and entertainment company controlled by billionaire Rupert Murdoch owns a close to 30% stake in Tata Sky through its investment arm Network Digital Distribution Services FZ Llc (NDDS) and is keen to increase it, the people cited above said on condition of anonymity. “Fox is looking to consolidate its position and control in several markets and has made repeated attempts to take over BSkyB, a television and broadband services provider in the UK,” one of the two said. India is already the largest DTH market in the world by number of subscribers, this person said. India has 94.61 million DTH subscribers and Tata Sky had a 21.52% market share as of December 2015, according to Telecom Regulatory Authority of India data. The Economic Times reported earlier this month that the Tata group and Bharti Enterprises had held exploratory talks to evaluate a mega alliance involving their telecom, overseas cable and enterprise services, and direct-to-home TV businesses. The inclusion of Tata Sky is just to sweeten the deal for Airtel, which has its own DTH unit, Mint reported on 12 July. Significantly, while government regulations allow 100% foreign direct investment in DTH, there continues to be a 20% cap on foreign investments in media cross-holdings, which could be a potential deal breaker as News Corp., another Murdoch company, owns the Star TV network in India. But the people cited above said a precedent exists for such a deal, given that NDDS already has a stake of around 30% in Tata Sky, and the two sides will approach the government for approval if the ongoing discussions are successful. Tata Sky started operations in 2004 as an 80:20 joint venture between Tata Sons and NDDS. In 2008, Singapore’s Temasek Holdings Pte. Ltd acquired 10% of Tata Sky. In 2010, NDDS was indirectly allowed to increase its stake in Tata Sky by 10% although foreign investment in the sector was capped at 20% at that time. NDDS, according to news reports at the time, approached the Foreign Investment Promotion Board for approval to invest Rs324 crore to take a 49% equity exposure to the Tatas’ investment arm, TS Investments, which in turn acquired a 20% stake in Tata Sky. It owned 29.8% of the company’s equity capital and Tata Sons owned 51.69% as of September 2016. In fiscal 2016, Tata Sky reported a net profit of Rs80 crore on operating income of Rs4,472 crore, significantly lower than the Rs267 crore it made on an operating income of Rs3,723 crore in fiscal 2015, company filings show. “DTH is a cash-intensive business and the industry is very dynamic and that’s possibly one reason why Tatas may want to reduce their stake or exit altogether,”said the second person cited above. Since inception, Tata Sky has received regular funding from its parent Tata Sons to support its capital expenditure, on average Rs1,600 crore per year, from FY14 till last year. While the capex is likely to decline FY17 onwards, Tata Sons will have to keep funding the company should it choose to remain invested, said a recent Crisil Ltd report on the company.